I think SH strips are the best nail strips! I like to wear them, like you mentioned, when going on a trip and I can't change my mani daily. Once I wore them for 5 days straight, which is a record for me! And they still looked perfect, except for what bit of new growth was peeking at the cuticle. And this design is just adorable! 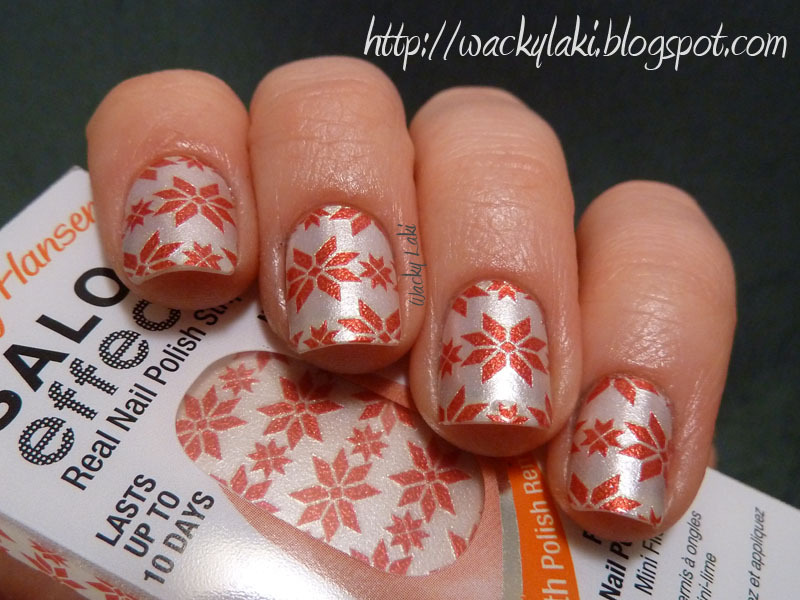 I have yet to try any nail strips! 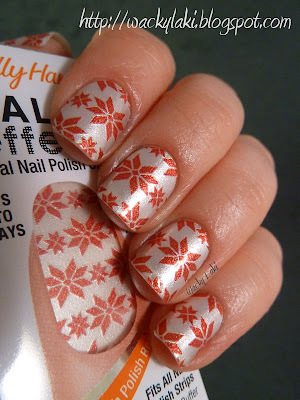 But I've seen these ones in the store and love the design! I might have to go pick up a pack. They look great on you! They look very nice on you. I love SH Salon Effects, the application is very easy and the result is amazing. This is such a cute design! I have a pack from Born Pretty Store but I haven't tried them yet. Not expecting great things from them I have to say. I love these things! They last over a week for me and I am rough with my nails. The only thing I don't like is that you have to throw the extras away. They dry out. Even if you ziplock them, they will not adhere to your nail once the air has been hitting them for a while. And they are too expensive. They really need to lower the price of these. I was lucky and found some on clearance for half price and Walgreens and Ulta. Woo hoo! And they just came out with a bunch of new designs too. I heard this brand was the best out of all of them. I have yet to try any others. 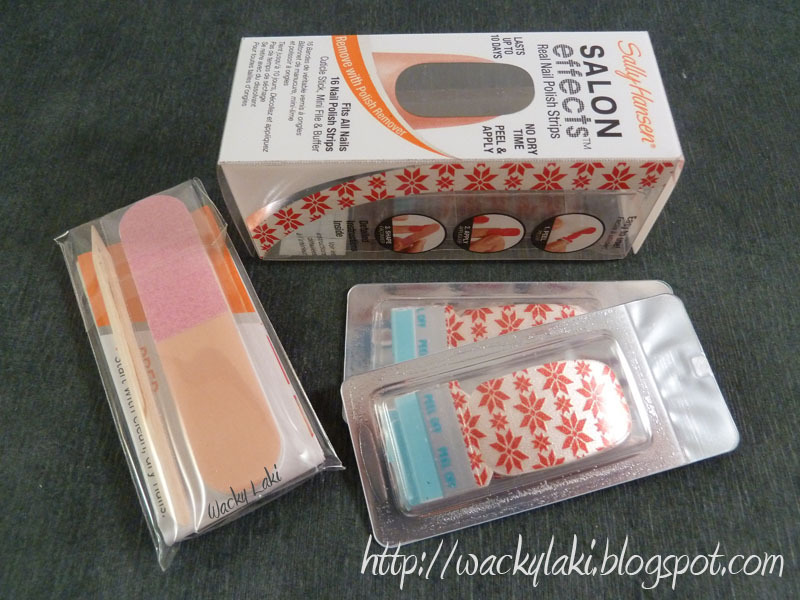 I tried the Sally Hansen nail strips and I liked them all right. I don't know if I made a mistake or not though--two nails chipped the same day or the next day, and that was annoying because with a pattern you can't just paint back over it or fill in the chip. I still want to try again though! These really were so easy and fun. I love how well they lasted. Call me impressed! @Anne, I'd love to know what you think of these when you try them! @Laura, even if you don't like the ones from Born Pretty, try these... they are so different!